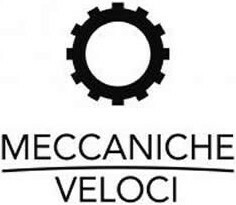 Everything about the Meccaniche Veloci brand is a celebration of speed. 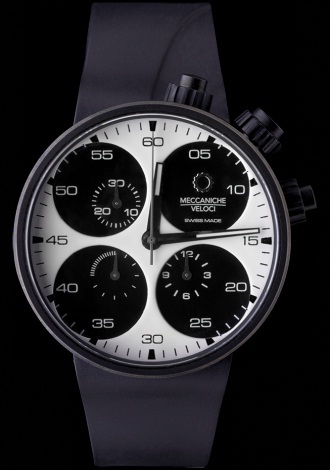 Ever since these iconic luxury timepieces first became available in 2006, Meccaniche Veloci has become known as the perfect watch for someone who wants to be in the driver’s seat of life and not waste a second of it. 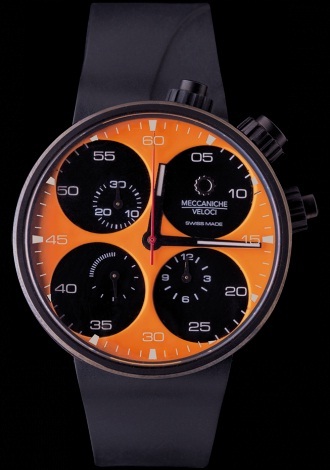 Meccaniche Veloci timepieces are not only inspired by racing drivers, they are proudly worn by racing drivers, pilots, and other aficionados of the world of speed. Meccaniche Veloci is already associated with world famous racing circuits like the Ginetta Supercup and the GT Cup. 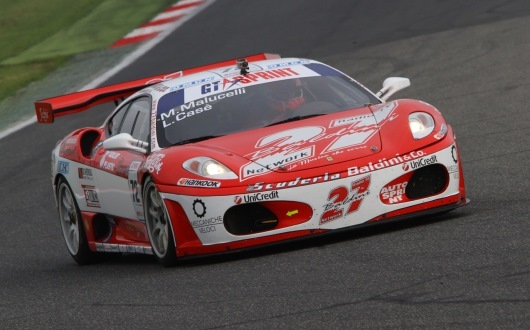 Now, through a new sponsorship deal with Italy’s Scuderia Baldini & Company racing team, the Meccaniche Veloci name and logo will be prominently displayed on the team’s Scuderia 27 Ferrari F430 GT Championship car. Like team drivers Matthew Malucella and Flavio Pierleoni, Meccaniche Veloci is fiercely competitive and is looking forward to joining these illustrious drivers on the highest steps of the winner’s podium during the upcoming Italian GT championship season. 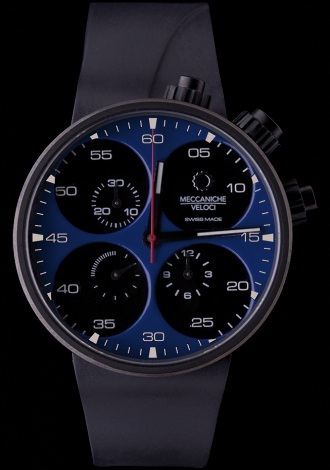 To celebrate their continuing association with racing legends like Scuderia Baldini and team drivers Matthew Malucella and Flavio Pierleoni, Meccaniche Veloci is adding new colors to its Limited Edition Car Fairing watch models. These exclusive timepieces are available in strictly limited editions of Meccaniche Quattro Valvole 48 Four Strokes, 44 Chronograph and Due Valvole models. Like previous Car Fairing timepieces, these new models feature specially fabricated dials using the same paint and varnishing techniques used in some of the world’s most famous racing cars. If you’re a racing fan and don’t already have a Meccaniche Veloci timepiece on your wrist, why wait any longer? Now is the perfect time to start sharing the excitement of championship GT racing with an exclusive limited edition Meccaniche Veloci Racing Fairing watch on your wrist. Since these new editions are crafted using genuine fairings taken from a luxury automobile, production is strictly limited. If you would like to secure one of these exclusive timepieces for yourself, you’ll have to act fast. Fortunately, that won’t be a problem for most Meccaniche Veloci watch fans.